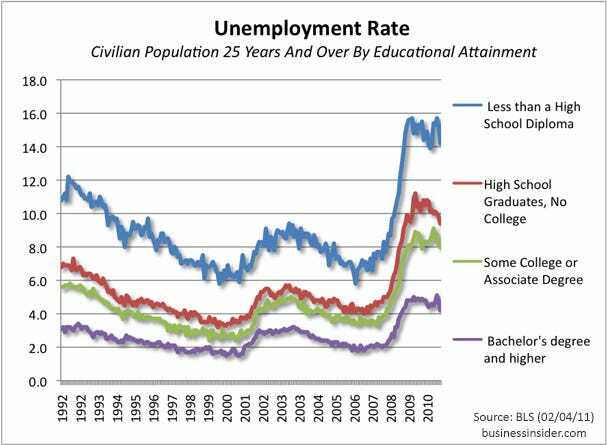 The unemployment rate for those with less than a high-school diploma is 14.2%. 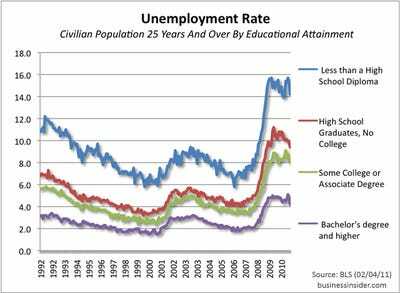 The unemployment rate for those with a college degree is 4.2%. We’re not going to waste our times rehashing old questions about whether this means college self-selects for employable people, or whether it means that more people should go to college. We couldn’t care less. It is a remarkable divergence, however.